I honestly have only used my light indoors at wedding receptions. I use pretty fast lenses on my Sony's so normal indoor lighting is plenty light for me. It's only when the bride (maybe she is shy?) wants the lights almost dimmed to nothing for their first dance so I need a fill just for the couple ..In my case it's always on the camera as they move around! However in your case they could easily go on a light stand and be positioned to give a little shadow fill. Just for interest I see more and more photographer now using small video lights for stills as they are convenient as a nice fill usually held by an assistant. Outdoors though if they want fill they tend to use a remote flash if they are working solo or a reflector if they have an assistant but outdoors I don't see a lot of photogs using fill of any sort never mind videographers. You must let us know how it works? Since my days doing news I have always had a light on my camera. Depending on the camera I was using at the time I could simply pull it up right, turn it on and get a little fill, IF the light was strong enough to do that. The 8 Power LED light is certainly strong enough to throw a little sparkle in the eyes IF I was close enough (usually within 8 feet) and honestly in all the years I used some sort of light outdoors as a fill, I never saw any kind of spill on the highlights. In sunny places I only used it if the sun was behind the subject and I was close to them OR on an overcast/dark day to open up shadows or put a little life into an other wise drab look. BTW, this was something I learned to do back in the early 70's shooting stills for news papers as well as fashion shoots except for those I used a 200watt second strobe unit off the camera on a 42 inch white umbrella. Worked great and when I started shooting video I figured if it worked for stills why not video. There are many lights that claim the 1000watt equivalent to the tungsten filament bulb but the real value of measurement or the photometrics of brightness is measured in lumens. 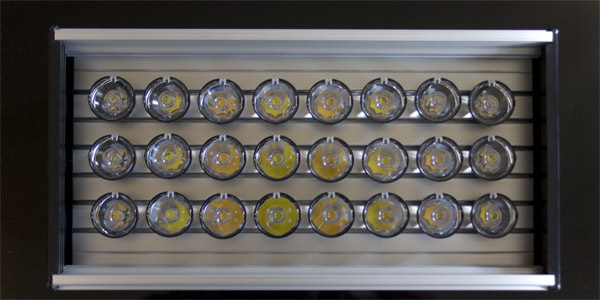 Lumens is the TOTAL radiated "light" or in a simplified terminology, photons from the source (led). A 100 watt common kitchen filament bulb consumes 100 watts from the electric company and thus rated as such, but in actuality is around a 1700 lumen source. A 1000 filament tungsten is 10X that amount and therefore 17,000 lumens. 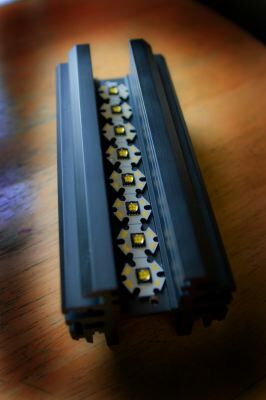 LED technology as of present, even with the best led dies (emitters) produce about 120 lumens per watt of power input TO THE LED, so if you have a 100 watt going into the led, you will get 12,000 lumens out or roughly the equivalent of a 700 watt filament bulb. But wait, that 120 lumens per watt emitter is for single large die emitters and not the cluster ones with the 100 small individual grid array ones or otherwise known as 1" chips. 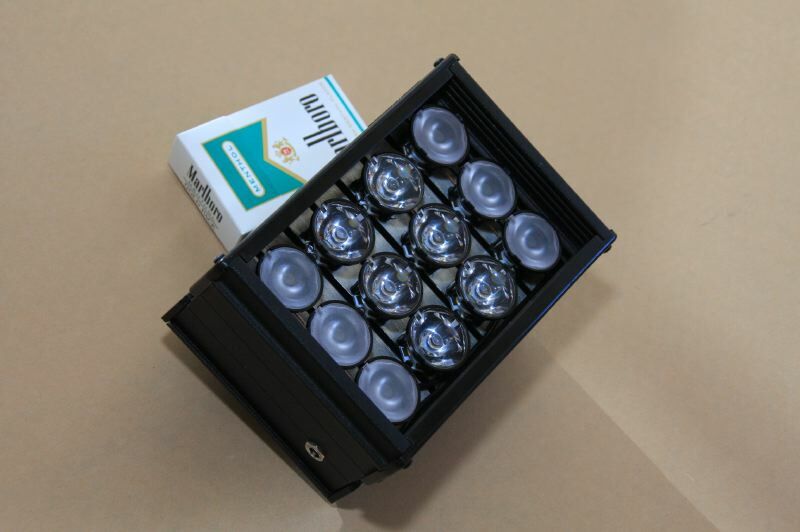 Them chips are in the 60 to 80 lumens per watt at best when driven at their maximum brightness. 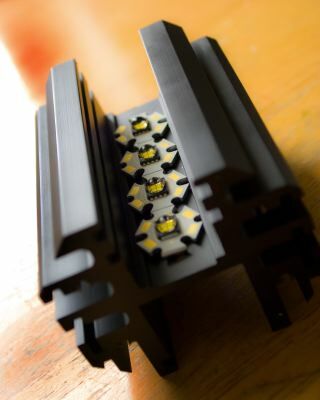 Leds lose efficiency gradually as they approach their maximum brightness, so that the chip led may just deliver perhaps 70 lumens per watt for the 100 watt total input to be equivalent to 7000 lumens or a 400 watt filament. You can easily see that the 1000 watt bulb claim goes to 400 watts when all else is considered. You can see that if the beam angle is narrowed, even a small led flashlight is brighter than a 1000w bulb when measured as a spot point source either by incident or reflected AT THE SAME DISTANCE. A unit that claims 1000 watt filament does indeed have to either post it's lumen value OR it's LUX value with distance and angle, or else it can just be a small flashlight. 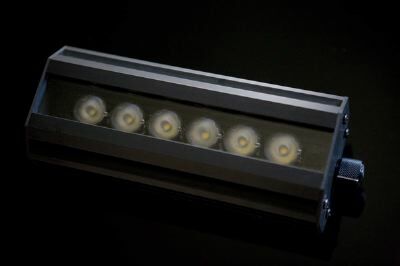 Another thing is that if a led light unit claims a 100 watt power consumption, perhaps only 70% or 70 watts actually go into the led itself due to conversion electronics, led driver circuitry, wiring loss etc. A true measure of brightness is really the photometric specs with distance, beam angle and lux given on the graph. Wonder why so few give that ?? OK, for those curious to see what I use for bright cloudless days as a spot fill. 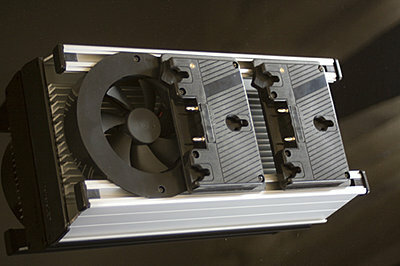 The diffuser will widen the beam to 40 degrees with 1.5 stops less light. The leds are lighting class 2000 lumens each. 6 leds are 3200K and 6 are 5500K. The switch allows 3 color choices, 3200-4000 and 5500K. Dimmer id non PWM type without banding or flicker issues at high shutter speeds. Small bettery plate is for the Sony BPU series 14.4 volts. The fan is Papst ultra silent, the casing is T6061 aluminum, the unit weighs 2 lbs without battery, all wiring hard soldered teflon, dimmer pot is mil spec Allen Bradley 500K turns. Sorry, not for sale. 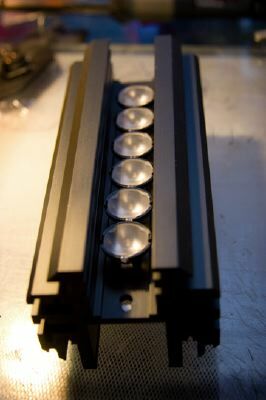 Just showing what can be possible with high grade leds and components. Last edited by Arthur Gannis; July 4th, 2014 at 08:57 AM. Arthur, The light looks very useful. Are you sure you don't want manufacture them! As far as your idea that fill light won't change the ratio of light on the subject because the rest of the picture will also be brightened I would say that is not the best explanation I have heard. Angle of light for fill can be different than the key of the sunshine and should be softer as well if possible so it doesn't necessarily hit the background highlights the same way as say the sun. Yes it can look artificial if overdone or hitting some object which isn't flattering. Usually outside my background is much larger than the area I can fill with reflectors or small lights that it is more of a matter power than a lack of one. I like my fill light to be a softer source than my key indoors and or outdoors. Now if I want something to be brightened up in the background of the picture I might use a very sharp source if I need to control the spill. I don't call that a fill light though. Fill light in photo/video applications is ,mostly used for lightening the shadow areas of the subject that otherwise would have little detail visible or to lower the contrast ratio between the light and dark areas. A photographer has used a flash outdoors for that reason and for many years wedding photographers have done the same. A typical scene here is a famous park that overlooks the NY skyline and the wedding couple is placed under a shady tree, so by properly exposing the couple would result in the background cityscape being totally blown out/ washed out as they say. A powerful fill flash by the photographer is used to expose the couple while retaining the proper background exposure setting say F11 at 1/250th. 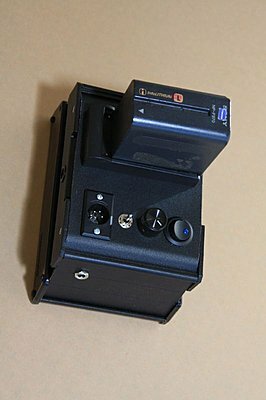 The Flash would be based on F11 and output for such. In this case the flash can be said to be the main light for the subject but is also the fill light for the image, otherwise you would have a silhouette effect. Sure, a reflector can be used but the sun's position may not allow the needed reflectance angle to always fall on the subject. Too much fill and the effect looks artificial just like night photography. Fill light when used selectively and with surrounding/background brightness awareness can be a powerful tool. 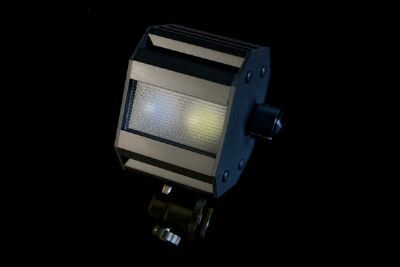 I have also made a few hand held led lights that are exclusively used by photographers to compliment available light and the results are nothing short of amazing. With today's high sensitivity sensors, available light can become the norm in high fashion dramatic shots that otherwise would have been difficult only a few years ago. 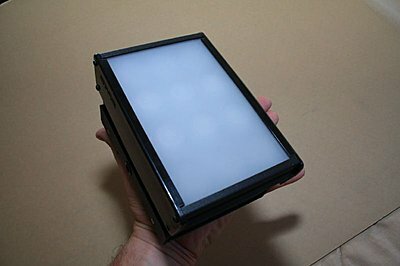 A fill or accent light. 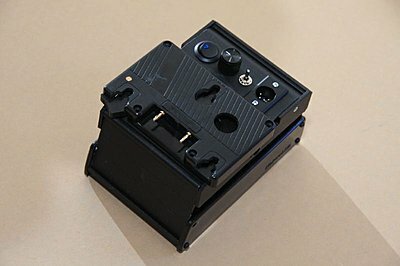 especially with dimming capability can really make the difference between a good shot or a great one.Here is one such unit that was designed and made for a famous photographer to be used as fill in his weddings. 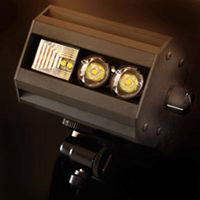 It has a dual beam angle select as well as 3 color temperatures. 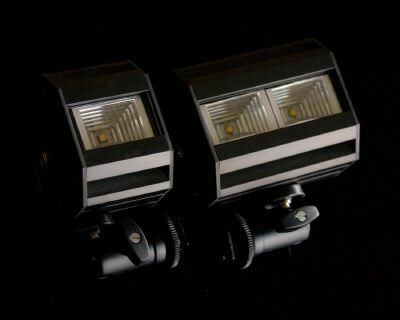 The beam angles are narrow 25 degrees and wide 75 degrees, but when both are on it has a gradual vignette that illuminates the surrounding areas in case they are dark. Also is the perfect video light since it can take Sony L series batteries. Again not for sale. I was looking for something to use for brightening talent faces for news or outdoor sporting interviews, etc. Eight feet or so might be just right. Wow! Mil-spec Allen-Bradley turns! Mbtf is probably >20 years daily use. I have one of those 312as's and found at least the 3200k leds to be waayyyy green, needing 1/4-1/2 minus green iirc. 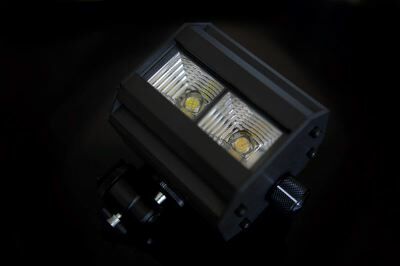 I greatly prefer the yongnuo yn300ii or yn600 leds which you can just leave 1/8 minus green on the 5500k or bicolor and look great not to mention are remote controlled and less expensive and brighter. 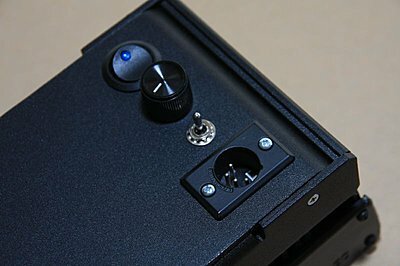 I recently made this beast for a friend who wanted small as possible with the highest brightness and battery operated. It measures only 12 inches across X 6 inches and 3 inches deep. 3 color temp switch, 580,000 lux @ 3 feet, consumes 200 watts from batteries, 50 minute run time at full blast, 90+ CRI @ 3000K, 85+CRI @5000K, 20,000 lumens or 1.2K filament equiv. 12 degree spot with interchangeable TIR optics for different beam angles, Macrolon Lumen XT diffusion capable, ultra silent Papst Fan. How about these prototypes ? The ones with the rectangular silvered reflector project a 16:9 rectangular beam pattern of 75 degrees with extremely low light falloff from center to edges. Ok, no more teasing, promise.